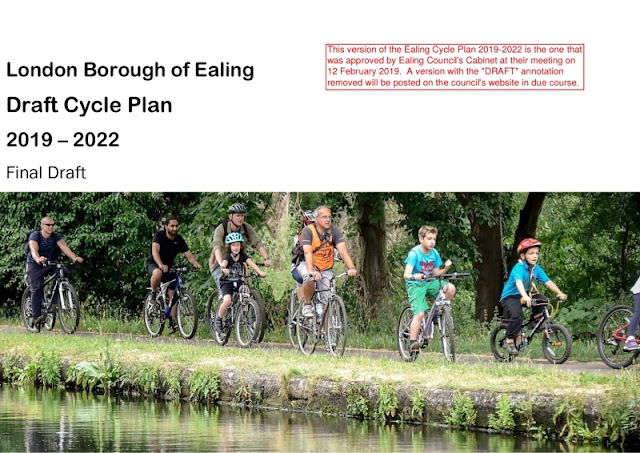 On 12 February 2019, Ealing Council approved the Final Draft of the three-year cycle plan. The final document will be published to the council Web site in due course, but you can read the final draft for yourself now. There's a lot to digest in there, but we are delighted to see a focus on providing protected cycling facilities along the Uxbridge Road.